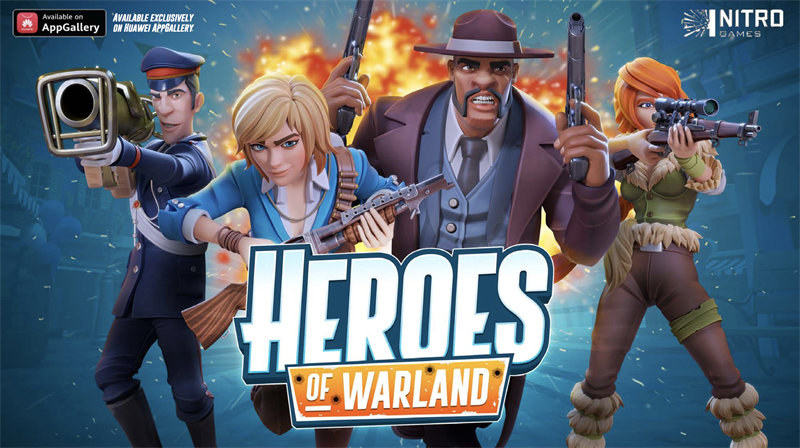 Nitro Games announced the launch of Heroes of Warland exclusively in Huawei AppGallery. Nitro Games announced its new game Heroes of Warland is now available in Huawei AppGallery, exclusively for a limited time. AppGallery is the app store preloaded on all Huawei & Honor smartphones and tablets. Nitro Games and Huawei are celebrating the launch of Heroes of Warland in Huawei eco-Connect Europe event in Rome, Italy on November 8th. Nitro Games CEO Jussi Tähtinen is delivering a speech at the event. Pro-Gaming superstars Fatal1ty and BorasLegend are also joining the event in a live demonstration of the game at the eSports stage. Huawei eco-Connect Europe is the annual flagship event of Huawei in the European region. ”We are proud to release Heroes of Warland now available in Huawei AppGallery. This launch and the event in Rome are the first steps in our co-operation with Huawei. As an extra bonus for the Huawei consumers we are giving away a free in-game gift valued at 12 EUROs” says Jussi Tähtinen, CEO & Co-Founder, Nitro Games Oyj.